​Napoli president Aurelio De Laurentiis has officially confirmed that manager Maurizio Sarri has left the club, with the Italian now expected to join Chelsea when Antonio Conte's departure is confirmed. 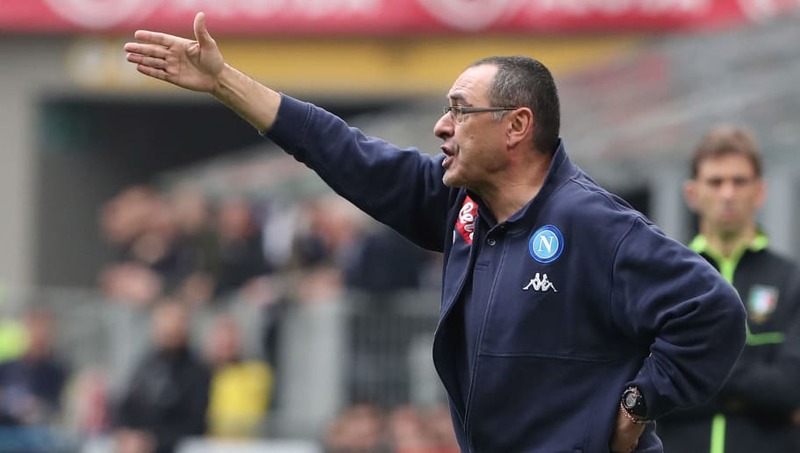 Sarri guided the ​Serie A club to a second placed finish in Italy's top flight this year, though at times it looked as though the Neapolitan side may have pipped ​Juventus to their first Scudetto since 1990. Sarri's brand of thrilling attacking football has won him many plaudits across Europe, with a number of top clubs taking notice. Prime among those clubs is ​Chelsea, who are now expected to appoint Sarri as their new head coach when current boss Antonio Conte is relieved of his duties. Sarri is reported by the ​Sun to have rejected an offer of £5.2m a year from Zenit St. Petersburg this week in order to hold out for a move to Stamford Bridge. Meanwhile, De Laurentiis was seen meeting Carlo Ancelotti this week ahead of his appointment as Sarri's successor. It's reported that a ​deal has been agreed between the former ​Milan and ​Real Madrid boss and the club, and that Ancelotti has signed on the dotted line for two years, at a similar pay to what Sarri has turned down in Russia. Confirming his departure on Twitter on Wednesday, De Laurentiis tweeted: ​"I would like to thank Maurizio Sarri for his precious dedication to Calcio Napoli, which has made it possible to give prestige and emotions to the city and to the blue fans all over the world, creating a model of play admired everywhere and by anyone. ​"Bravo Maurizio. Aurelio De Laurentiis."